DeCardy specializes in high-quality, precision zinc die castings serving customers in the United States and around the world. Our business started at the turn-of-century casting components for American Flyer and other manufacturing companies. 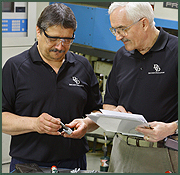 Still family owned, our parts today can be found in the critically demanding, high-stress environments of motorcycles, cars and trucks to the unforgiving tolerances of precision medical equipment and electronic testing devices. Engineering Expertise - Our concurrent engineering process helps them successfully resolve their most aggressive design challenges. Domestic Sourcing - Our central US location eliminates many of the logistical, communication, delivery and quality issues they have experienced with off shore sourcing. 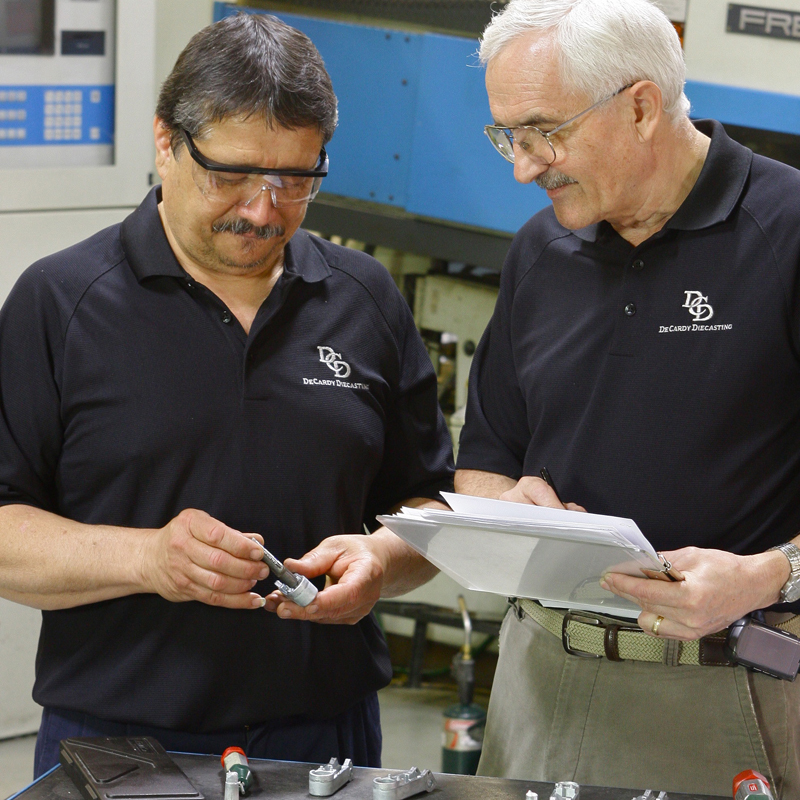 Production Flexibility - Thinner engineering and purchasing staffs mean a greater reliance on sourcing partners and our size, management structure and full-service capabilities make us an agile resource they can count on for quality, consistency, and reliability. Industry Partnerships - Our century long reputation for quality was built with through the respect and loyalty of our valued partners providing state-of-the-art equipment, production methods and quality assurance systems. The CELL Method � The CELL system has become a proven approach to improving quality and reducing costs. Unlike and assembly-line system that has a succession of individual departments working on a job, every order DeCardy project is assigned to a CELL that includes all of the personnel required to complete it. This approach optimizes quality and scheduling control, resulting in a cost savings that can range from 18% to 54%. Started in 1908, DeCardy Diecasting has been providing quality zinc die cast parts to customers throughout the United States and around the world. Over the years, our business has evolved from providing rugged die castings for bicycles to precision zinc parts for highly specialized medical equipment and electronic components. But while we are storied we are far from old with constant and continuing initiatives for improving quality and service while reducing costs. Current efforts include ISO 13485:2003 certifications which specify that an organization demonstrate its ability to provide medical devices and related services that consistently meet customer requirements and regulatory requirements applicable to medical devices and related services. The year-long certification process will be completed in 2014. And just as our capabilities have evolved, so has the management of our company. Always family owned, much of the drive to penetrate new markets was led by Bill Vogel, who purchased DeCardy from his father Bill in 1986. In 2006, Bill retired and his son Will became president and CEO. Will has more than 20 years of experience with DeCardy and is continuing to lead the company�s development as a leader in precision zinc die cast components. PrivacySite MapSite created by Thomas Web Solutions� 2014, DeCardy Diecasting, All Rights Reserved.